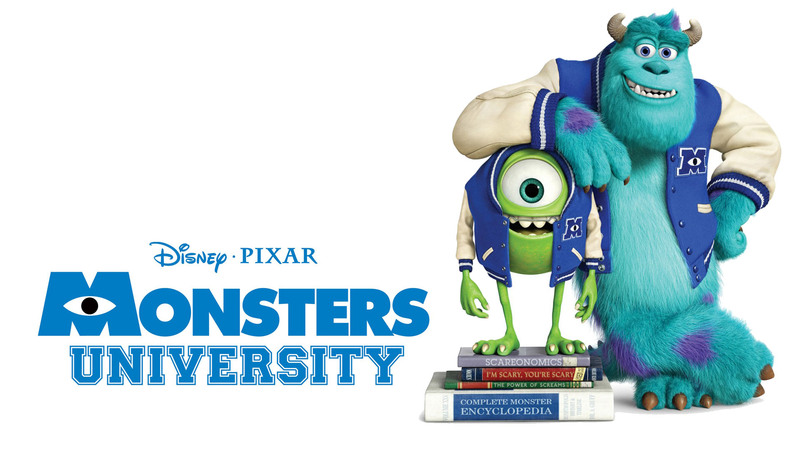 After all the hype Disney was putting on their newest Pixar creation, Monsters University, how could I not see it on opening weekend? If you did not see it, I highly advise you to do so! If you did see it…maybe see it again? The animation is spectacular even if it is computer generated. As usual with Disney, there is so much detail in every scene and character. I was not completely joking when I suggested going to see it again because there is so much to miss in the movie. You will not be able to catch all of the clever details, jokes, and references in just one viewing. For those of you who did see it, were you able to spot the Pizza Planet delivery truck that makes a cameo in all Pixar films? With the films being about attending a university, this gave its creators vast opportunities for clever references to college life which made the movie even more fun for those who have lived a similar life once before. I am sure this film was a blast to develop! The only other advise I have for you besides going to see it and seeing it again is to stay for the credits. There are some fun messages in the credits that you might find on a college campus but with a monstrous twist! If that is not incentive enough, there just might be a little reward for those who stay until the end of the credits! This entry was posted in Movies, WDW News and tagged Monsters University, Pixar. Bookmark the permalink.